Please consider helping us buy silk and dye for the burn. Thank you. Dye day is one of my favorite days on Playa. Everyone looks so happy with their creations. It is so much of a gift to be part of it!! I want to donate, but the site says I "have to update my browser" to Mozilla or Firefox to do that.....ummmm.....no. mgb327 wrote: I want to donate, but the site says I "have to update my browser" to Mozilla or Firefox to do that.....ummmm.....no. It is a simple PC with IE. I have tried Chrome and Firefox before, but they alter all my pages/stuff, dragged me off to places I wasn't headed for, so I opted back out. Sorry, I am not inviting a new "virus" into my system, it seems to work just fine as it is. I have never before been asked to install a new browser system before for a donation. Maybe if I tried someone elses' Chrome browser, I might ease into it if shown how it can be altered to something I can accept, for I am a Luddite over here.......420 is right, the less info I put out there, the betterski. mgb: Old versions of IE, Firefox and the rest are not always supported by all sites especially sites the process money. Recently HTML5 and HMSS have been implemented to make systems more secure. This required browser updates and some sites will ask you to upgrade before using their services. You might try ignoring the warning and continuing to fill out the forms. If you are using Windows 7 or Windows 10 you can probably turn on Windows update and your system should automatically update itself without having to install a new browser. Older versions of Windows are not being supported and the update feature may not work. You could always send Lucky a check! 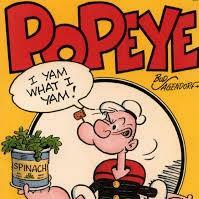 Yes as Popeye suggests, just send me a check. lucky420 wrote: Yes as Popeye suggests, just send me a check. can you be trusted with a Czech? we could ask our Czech eplayan (s)? One thing for sure, you're flowing and graceful as you move about a campsite. I would love to watch the video clip. It doesn't work for me. Plus, if I click on the .com link all I get is the 2016 indegogo campaign. Thank you for letting me know I will see if I can get it working. Thanks to all who have donated. Ok last day to bug you fuckers...I’m mean all you lovely peoples. For those who donated or shared, thank you so much. Come see us on playa everyone. We’re in the 404 Village Not Found, most likely on the 3 side this year. Thank You Fernley 1 for your donation at the BRR this past weekend. And thank you Lucky 420 for your gift.